The Perry Conservation District sponsors the Perry County Envirothon each year to promote natural resources and environmental science education. 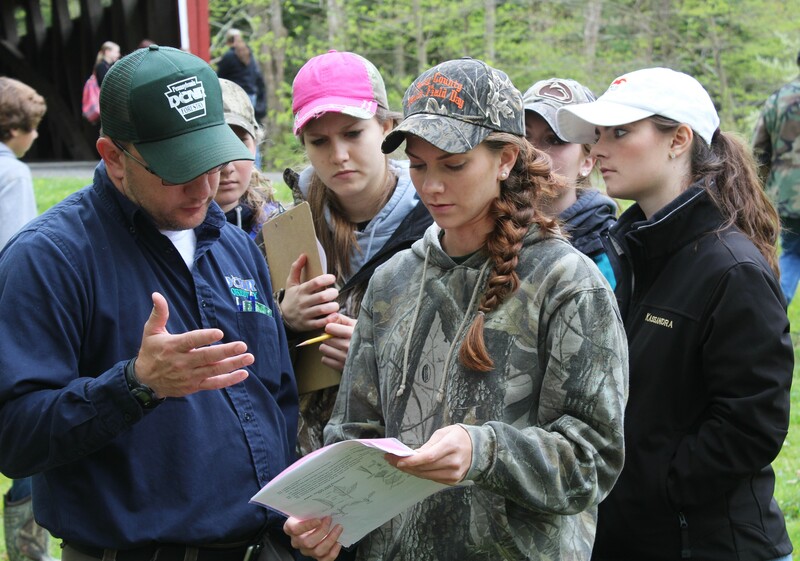 For over twenty years, high school teachers have been recognizing the value of the Envirothon experience. The Envirothon is the only competition in the nation that challenges students to think critically about the natural world and their role in it. It’s also the only competition that helps students develop the critical thinking skills they will need for a lifetime of finding balanced solutions to complex issues, such as how to encourage economic development and still preserve open space. The Envirothon shows tomorrow’s leaders the positive and negative effects that individual actions have on the environment. Understanding the difference between renewable and nonrenewable resources, realizing environmental interactions and interdependencies, and becoming conscious of how we each contribute to the overall quality of life is all a part of the Envirothon experience. and a Current Issue that changes each year. On the day of the event, the students rotate through the five stations where they are tested on their knowledge of the topics presented by the different agencies. Envirothon teams are composed of three to five high school students in grades 9-12. Any student, in grades 9-12, with an interest in the environment can participate. Information packets are sent out to each school at the beginning of the year so students can prepare for the competition. The winning county team moves on to the State Envirothon competition which is held on a college campus during the month of May. For dates and locations of this years Envirothon Trainings and Envirothon Competition, please see our Calendar of Events.